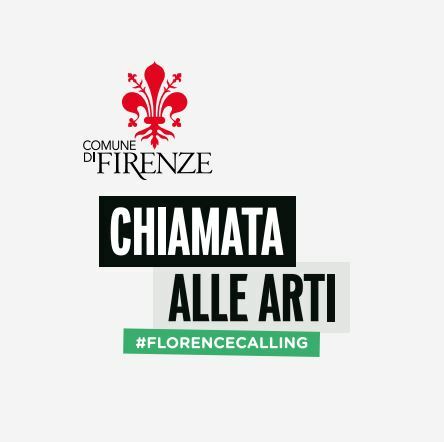 #Florencecalling has just been published: the “Call to Arts” promoted by the Municipality of Florence is online, welcoming the idea launched by Architect Stefano Boeri to engage creativity in the design of innovative security devices for public spaces, hosting trees and plants and working as urban furniture available for citizens. Published on the Civic Network of the City of Florence at http://www.comune.fi.it/materiali/bandi/avvisi_2017/20170907_Chiamata_alle_arti_ITA.pdf , #Florencecalling is an international contest of ideas addressed to companies, schools, designers, creative and professional studios, aimed to build a new generation of passive security systems to protect sensitive targets, to improve the aesthetic and social quality of the city. “The message that Florence, the center of Humanism, is launching to creatives and cities around the world is not to accept terrorism blackmail – Boeri says – it is an invitation to transform the need to protect us from those who threaten death, in opportunity to invent new life-giving architectures, for the public space of our cities”. Proposals will be received by a specific commission chaired by Mayor Dario Nardella and Architect Stefano Boeri, with the presence of the representatives of the institutions that collaborated in the definition of the call. I can see a dangerous confusion coming forward, on social media, between the phenomenology of radical Islamic terrorism and paradigms of urban conflicts (as defined, for instance, by Henry Lefebvre). In my opinion, they are two substantially independent phenomena. Like others, I do believe the affiliation to the strongly identity-based simulacrum of the Caliphate is a matter relating, in primis, to the hunger for a strong identity of youngsters, born in Europe, of immigrant parents (and somehow integrated), not recognising themselves either in the “secularised” traditions passed on from the family, or in that culture of Western generic multiculturalism they breathed, at times, at school (in this regard, I find pretty interesting what Oliver Roy wrote: https://www.internazionale.it/…/2…/11/27/islam-giovani-jihad). The involvement of a statistically insignificant group of very young Europeans with the killing/suicidal spree of the both contemporary and tragically galvanizing terror of ISIS matrix, nothing or practically nothing has to do with urban social conflict issues. As I have claimed a number of times, many of these kids come from lower-middle-class neighbourhoods, more than decent housing, schools, sport courses, gregarious experiences that have nothing to do with the Parisian banlieues or London’s slums resulting, a few years ago, in the latest accelerations of urban riots (let’s watch Mathieu Kassovitz’s “La Haine” again). The theme is NOT the conflict arising from the contemporary urban condition, but rather, pushing things kind of far, just its very absence. The absence of moments and places to confront and exchange, even hard and conflictually, with other cultural and social identities. In my view, the issue is not linked to the conflict resulting from a condition of ‘peripherality’, but, if anything, to the absence of conflict and interaction between different cultures due to urban homologation and segregation. From those “anti-city” situations, where the settled communities, just because they are made up of the concentration/segregation of individuals, families and social groups who are similar in traditions and culture, they miss any opportunity to enrich their own identity thanks to the exchange with other identities and to the possible empathy to look at themselves through the eyes of the others. Anti-city situations are found downtown, in the suburbs, in residential districts, wherever that kind of social capital, the American sociologist Putnam calls “bridge” is missing, which must always balance the social capital “tie”, that, if left alone, results in captivity, asphyxiation and therefore, individual and extreme reactions too. If the urban social conflict has very little to do, on the spatial side of the terror attacks phenomenology, the public space issue has instead very much to do with it. You are right in reminding that the sequence of the attacks had, as denominator, as series of vital and sort of mixed-breed collective places, highly representative of the essential nature of the contemporary Western public space. I have been claiming for a long time now, on the wave of fundamental reflections such as the ones of Bernardo Secchi, that the “generosity” of squares, boulevards, open spaces of European cities consists in their very substantial indeterminacy. I dare say that the distinctive feature of the contemporary public space is its unpredictability: everything, quite everything can happen (Giovanni La Varra claimed that if in a space you can suddenly play five a side, then, and only then it is definitely public). Over a recent debate with Richard Sennet, we have tried to reflect on another fundamental aspect too, the one of “complicity”. In other words, this is all about the semantic openness that a spatially definite space in its boundaries leaves to the free interpretation of the ones who inhabit it. A space is public if it can be “completed”, in its meaning, with the projections and questions of meaning of the ones who inhabit it. Also completed with conflicts, with the sudden and spontaneous appropriation by groups and minorities. The European public space, often provided with a very strong urban and architectural coding, is therefore “open” – to the extent of being possibly completed – in its functional and semantic code. This is its miraculous and most precious feature. These are the values to claim, protect and reinvent. No wonder these are those very values of plurality and openness, moreover, embodied in the space and, therefore, relentlessly relaunched in our daily lives’ time, that a radical vision cannot but perceive as devilish enemies to a unique, univocal, self-proclamed UR-identity. If then Barcelona, Berlin, Nice terror attacks have nothing to do with the urban social conflict (which, on the contrary, uses the squares to express and show itself), they have instead a lot to do with the qualities of our public space. Put at risk by (fortunately for us) a numerically limited group of terrorists. ” What Can Be Done “, then? A lot, on the public neighbourhood policies side, the policies to really create open schools (to generational, social, cultural, religious diversities), cultural policies to root out any form of segregation and homologation. As an architect/urbanist, more modestly, I wondered if the solution of filling up tens of thousands of public spaces of thousands European cities with Jersey and Pilomat and barriers was the most appropriate response to the hazard and hunger for hate of bunches of terrorists who, we all are convinced, really want to force us to give up inhabiting, with our bodies and our emotions, those values of openness and unpredictability characterising European public spaces. Forcing us to turn these places into different permutations of military check-points, within the anxiety and security, defense code, depriving them of that umpredictable openness to life which makes them so indespensable. That’s what terrorists, more or less explicitly, aspire to. Statistically, we know that the risk, distributed on thousands of spaces, is very limited. But we also know that this is exactly what is at stake, dealing with terrorism. Lone and sudden actions forcing millions of people to change the quality of their lives. Therefore, without questioning the pressing need to secure our public spaces from a statistically irrelevant, but objective and frightening risk, I tried to think that the most effective response was indeed to make a virtue out of necessity. Instead of militarizing our squares we could figure out a way to make them more interesting, rich, diversified, half-breed and, why not, greener. This way we would respond to terrorists, avoiding falling into their trap. Hence the proposal to launch a campaign to redesign squares and public spaces furniture and services of European cities, transforming “passive defense devices” into “active sociability devices”, obviously on condition that they provide equal security guarantees. The relaunching of that big campaign for urban forestry (the exponential increase of trees in cities) that numerous European cities are already promoting, represents, in my view, one of the big challenges, the environmental one, for the next few years. But not only, it is about collecting ideas and hints to integrate the concept of entry “deterrence” to high-speed vehicles, with the concept of “generation” of stopping and crossing quality in and of open and admirable spaces, like our squares. Conceiving anti-ram road blockers also as being trees containers, racks, mobile devices to play and do sports, benches, IT huts, disconnection islands, etc. Florence (it is good that the idea is born in the capital of Humanism) will be launching, in the next few days, a call for an international consultation to transform passive defense systems into useful urban devices, the outcomes of which will be available to all of the cities all around the world. I wish we were many to take part in it.